The debate about steel vs composite toe caps has been ongoing for a while now, so, with still no conclusive evidence that either is better than the other, is there, in fact, a superior option? Steel toe caps have been around for a long time – since the start of the 20th Century when the usage of safety workwear and footwear first became recognised as a need – previously to this, it was actually considered more expensive to implement proper safety footwear and other measures than replace an injured operative! However, when liability costs were introduced after the laws regarding compensation were implemented, this theory and practice began to change. Safety Standards in many countries means that nowadays, the use of safety boots in many industries is compulsory. The first type of safety footwear was a type of wooden shaped and hollowed out boot, named a “sabot” which protected workers from heavy falling objects. Allegedly, the word “sabotage” came from the industrial revolution when workers used their sabots to wreck machinery! Unlike much other safety workwear, safety boots have tended to follow trends and fashions, with manufacturers obliged to produce varying styles of footwear to meet consumers expectations and wants. While steel toe capped boots have been around a long time – since the 1940’s – composite toe caps are a relatively new introduction into the world of safety footwear. so what makes them better? Or are they even inferior to steel toe caps? WHY USE COMPOSITE TOE CAPS? For many people wearing toe capped boots on a daily basis, the weight and comfort of your boots matters to them. Not only are composite toe caps lighter than steel, but they are also more durable. Composite toe caps can be made from a variety of materials, and will differ from supplier to supplier, however, the most used materials will usually be kevlar, fibreglass, plastic, and carbon fibre. Composite toe caps are lighter for a variety of reasons – but primarily because of their production process – nanotechnology creates thin layers of fibre that is then fused together to create a strong but thin cap. Some further features and benefits of composite toe caps are below. Composite toe caps will not set off metal detectors – if you are an operative in a location where passing through security scanners regularly, composite toe caps are a time saver and mean you don’t have to worry about setting off alarms (as long as you remember to take your keys out of your pocket! Composite toe caps don’t conduct electricity – you will need to ensure that your safety boots are EH (Electrical Hazard Rated) but composite toe caps give you a little extra peace of mind if you are working in a hazardous electrical environment. WHY USE STEEL TOE CAPS? Steel toe caps are still the most popular option in today’s market for safety boots and shoes. With new advances, they are near as light as composite toe caps too. They are proven too – having been around for the best part of a century, steel toe capped boots are not going away anytime soon and have provided operatives and workers with proper protection for many years. They are usually cheaper than their composite counterparts. Having been around a developed for many years, steel toe caps still remain on average the cheaper option for many safety boots. Steel toe caps are as strong as composite toe caps, and in many cases, stronger than. If it ain’t broke – why fix it? Many people are of the mindset that despite their relative benefits, steel toe caps still remain the industry leader, and in many ways, they’re right. More styles/sizes/shapes available in the steel toe range – with the composite toe cap being a more recent introduction to the safety footwear world, they are usually used in higher specification boots and specialist industries, meaning they still maintain some exclusivity. If you’re making a decision on whether or not to opt for either a steel or composite toe cap, we’ve put together a helpful chart with the pros and cons of each boot together for you. - They are as strong as composite, and sometime stronger than. 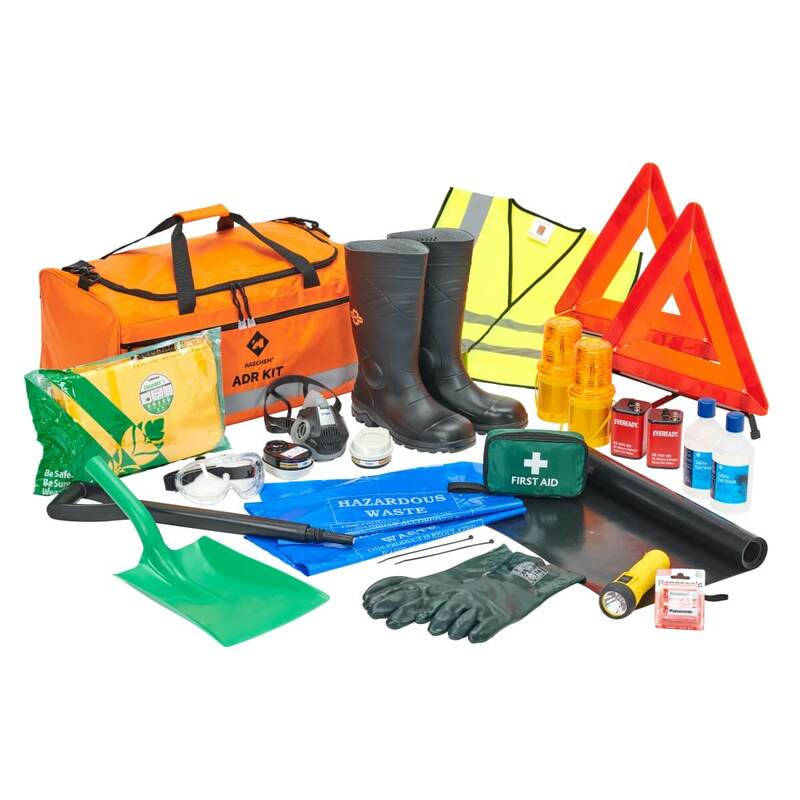 What we must remember when making a decision on purchasing or recommending safety boots is that both steel and composite toe caps have all been subjected to and met certain standards.In short, they are all fully compliant to a set of standards, and it should be borne in mind that checking the specification you need is very important. Where there are generally more benefits associated with composite toe caps, it has been proven that the widely held myth that they are safer than steel toe caps is, in fact, false and not to be held in your mind when ordering safety shoes. Overall, the composite toe cap offers the benefits of the steel toe cap plus more, such as its resistance to the conductivity of heat, cold and electricity, so if you are looking for a high quality, more expensive boot, we would recommend looking for a boot with composite toe cap and midsole. 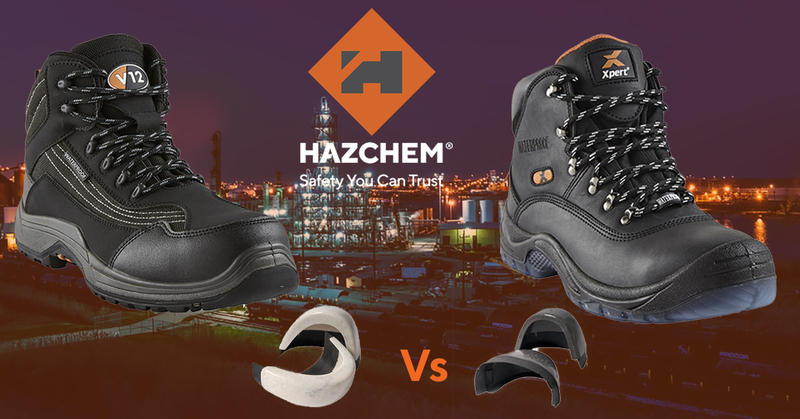 However, steel toe cap boots are still very much as safe and often cheaper than boots with a composite toe cap and midsole so these are a great option for those with a budget and they are available in a huge range of market leading products.